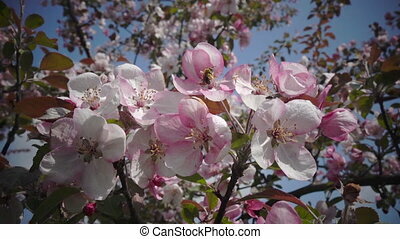 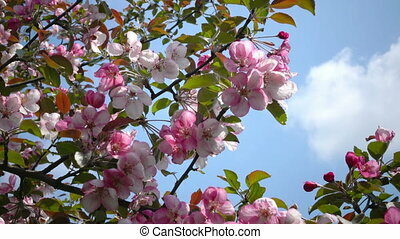 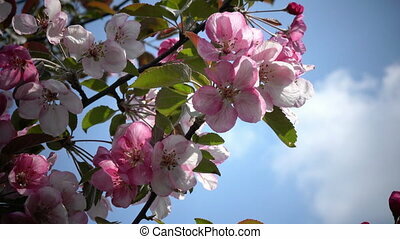 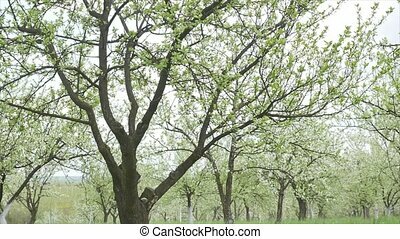 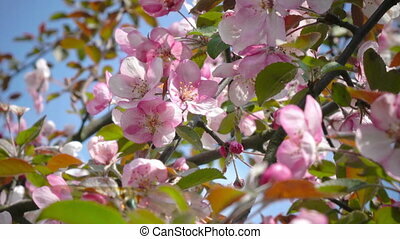 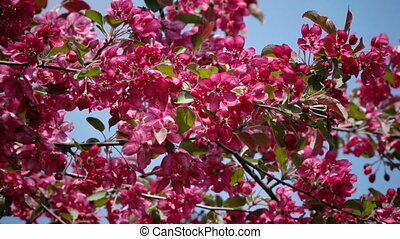 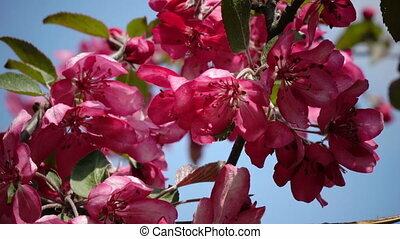 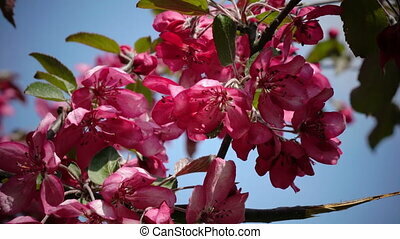 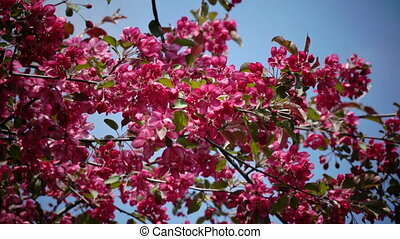 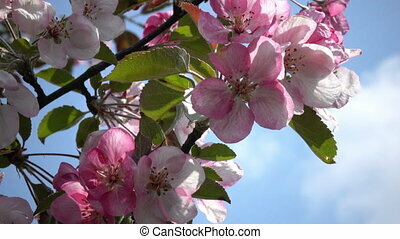 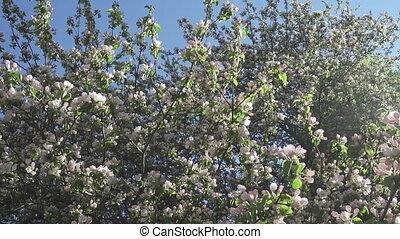 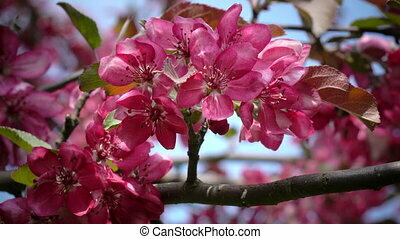 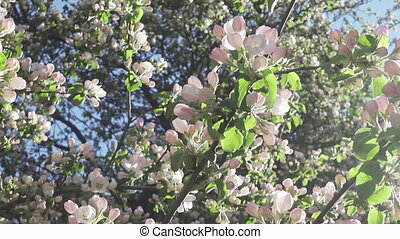 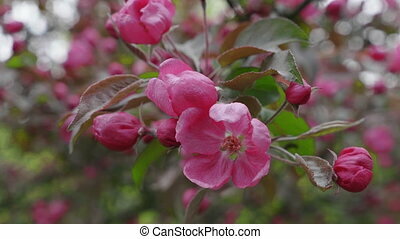 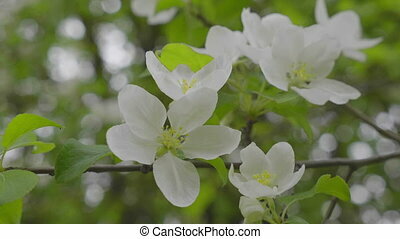 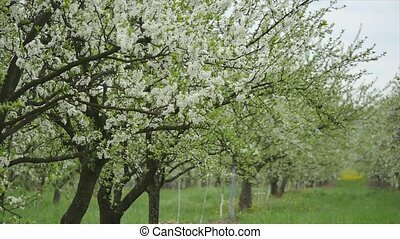 Apple trees blooming in spring. 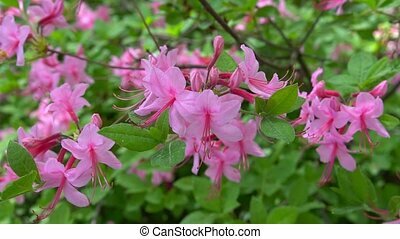 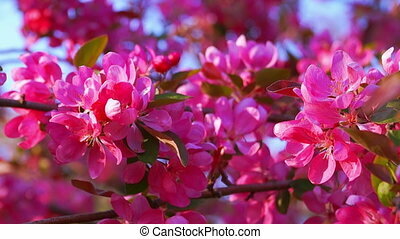 Nature awakening. 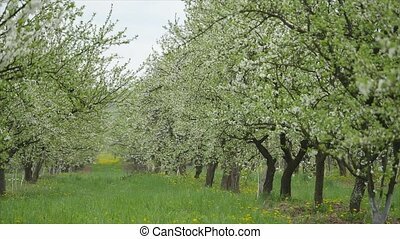 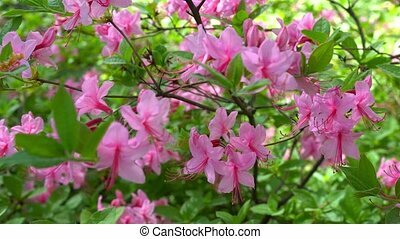 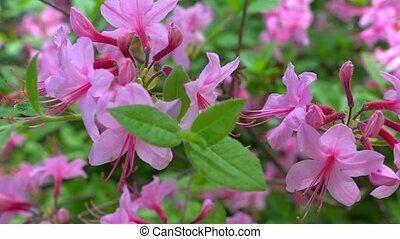 Fruit garden in blossom. 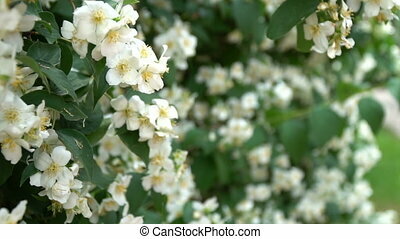 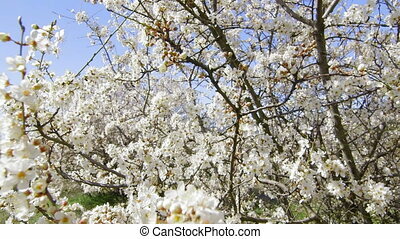 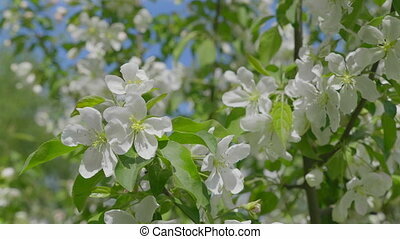 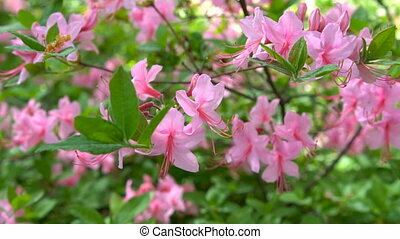 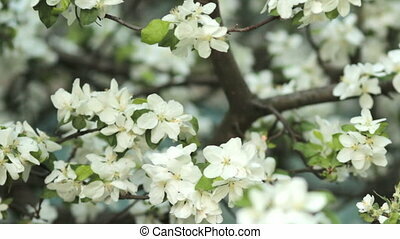 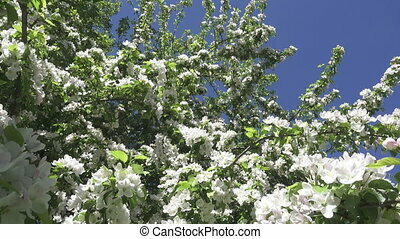 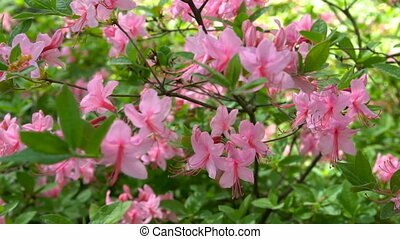 Small green leaves and white flowers on tree. 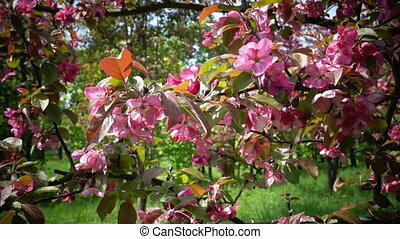 Garden with blossoming apple trees in spring.